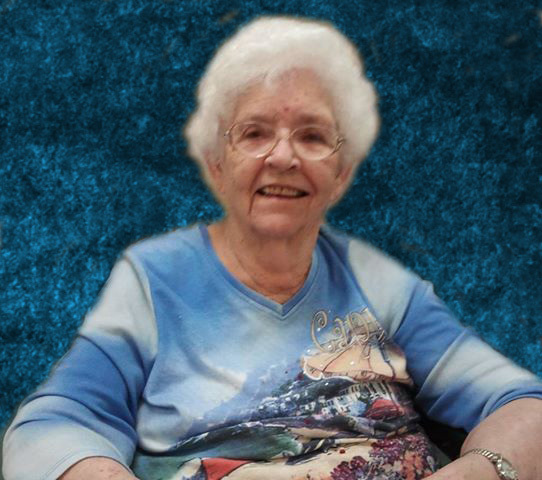 Myra Lucille Hudson, age 97, passed away peacefully on January 22, 2019 after a courageous battle with severe dementia. She was born September 30, 1921 to the late Gus and Jimmie Russell. She as preceded in death by her husbands, Edward Hudson, Raymond Bledsoe and Roy Twilley; children, Wayne Hudson, Murry Hudson, Bill Hudson and Ray Bledsoe; numerous grandchildren and great-grandchildren and siblings, Sarah Russell Simmons, James Russell, Joe Russell, Randolph Russell and Jack Russell. She is survived by her children, Linda Hudson (Joe) Pitts and Hayward Hudson; numerous grandchildren, great-grandchildren; great-great-grandchildren; sister, Mary Russell Grice and a host of nieces and nephews. Myra was a wonderful mother, grandmother, sister and friend. She was a devoted Christian and touched the lives of many. Psalms 30:2 O Lord My God, I called to You for help and You healed me. Visitation will be Thursday, January 24, 2019 at 11:00 a.m. at Ocmulgee Baptist Church. Funeral services will follow at the church with Dr. Robert Taylor and Rev. Donald Harris officiating. Interment will follow in the church cemetery with Lawrence Brown-Service Funeral Home directing.